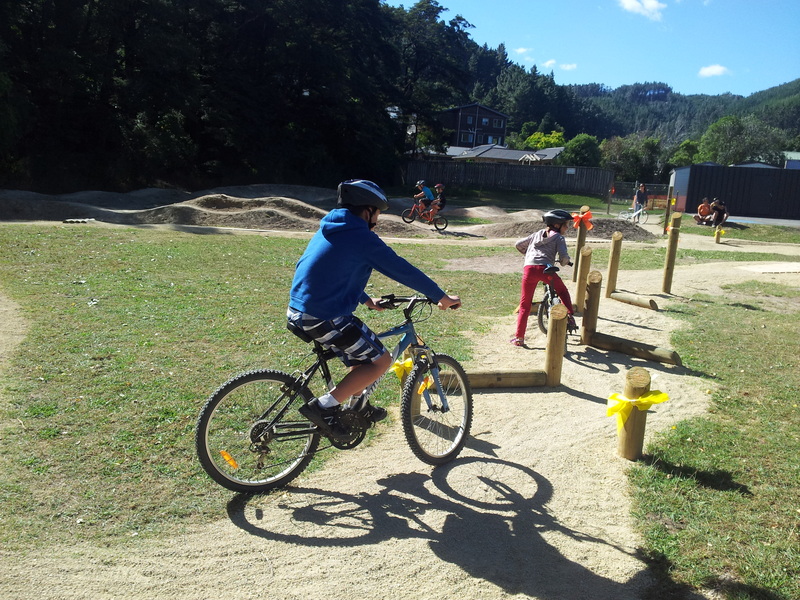 Schools are back, and a fantastic start to 2015 with the first new school track of the year – at Pinehaven School in Upper Hutt. 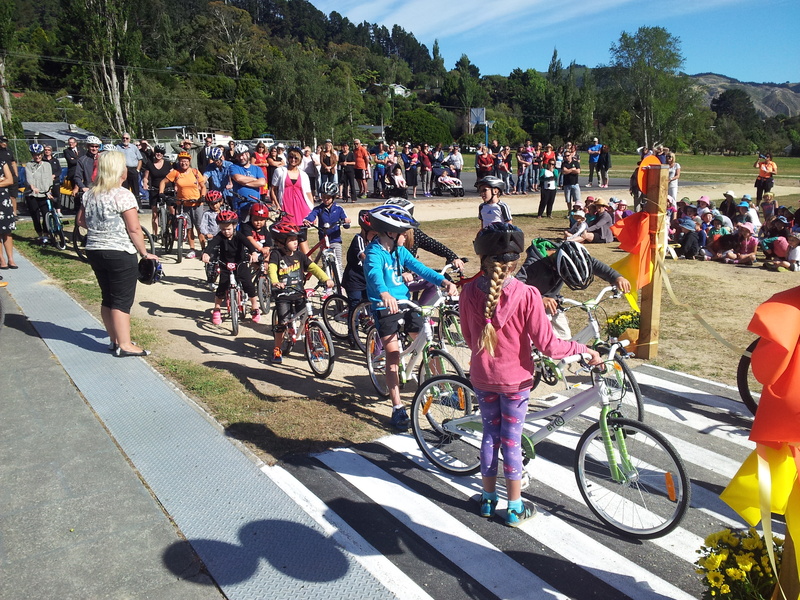 Hundreds of people arrived on a beautiful sunny day to celebrate the official opening of the project, which includes three different bike tracks, 50 bikes, a storage container and a helmet for every child at the school. The 500m+ long limesand track also includes another first (we think! ): the first mini zebra crossing across a riding track. We think it looks great! Thank you to the principal Kaylene Macnee and all the school staff for such a great day, as well as the many parents and special guests who made the day such a success. 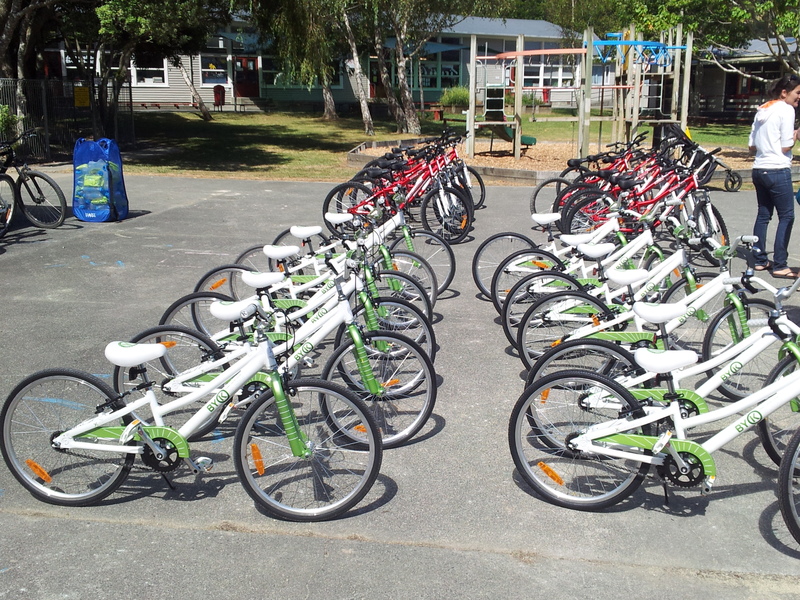 This was the first time the kids got to ride their new bikes and tracks, but it’s always a nice surprise to see how many guests and teachers are keen to do a quick lap or two at an opening like this and Pinehaven School was no exception. And who can resist a track like this? 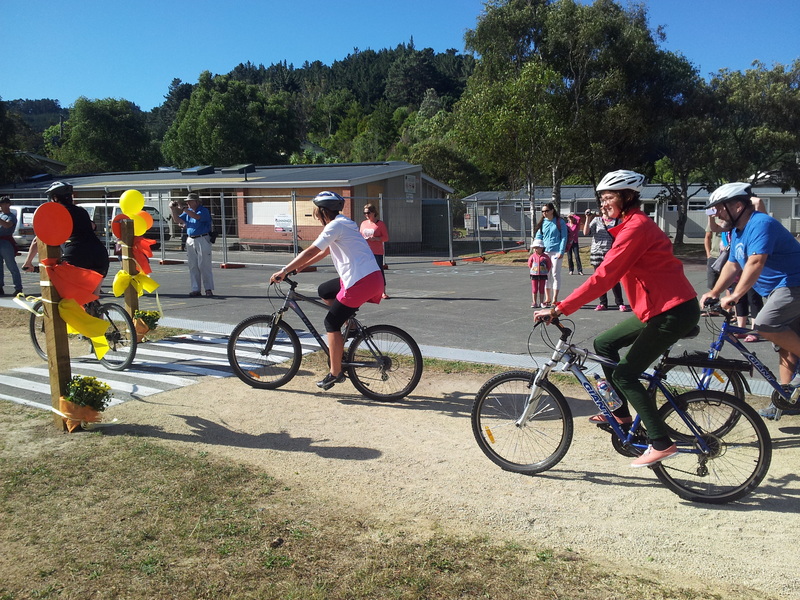 Thanks to the generous support of many different groups (in particular the Greater Wellington Regional Council) without which this project would not have possible.